Now more than ever we need our students to feel safe and supported in school by their teachers and fellow students! Mediation helps promote understanding and restores the respect! 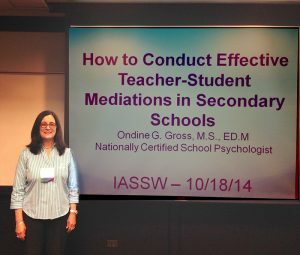 School Psychologist Ondine Gross, M.S., Ed.M. guides you through an easy, effective, and evidence-based mediation technique for teachers and students in Grades K-12. This common-sense solution to conflict resolution will help you reduce suspensions and keep students in the classroom and ready to learn. Ondine is eager to share and train others on the practice of restorative school mediation. She also speaks publicly on any issues facing school-aged children. 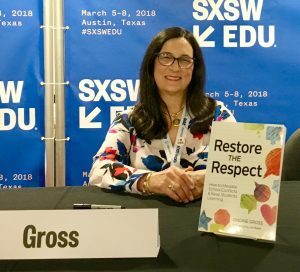 Ondine Gross, M.S., Ed.M., is an author and nationally certified school psychologist who has worked in public school settings for more than 30 years. She was born in Los Angeles and began her career in diverse California public school districts. 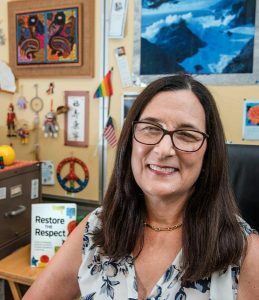 The California Association of School Psychologists named her an “Outstanding School Psychologist.” While in California, Ondine earned licenses as a marriage and family therapist and as a licensed educational psychologist. 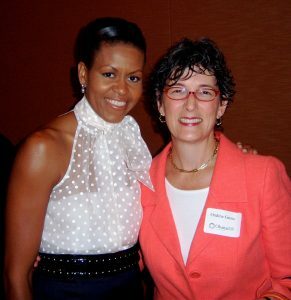 Moving to Illinois in 1993, Ondine became a licensed clinical professional counselor and also worked for Champaign Unit #4 Schools as the Centennial High school psychologist and student services department chair. Mid-career, Ondine earned a master’s degree in educational policy, organization, and leadership from the University of Illinois at Urbana–Champaign as well as school administrator certification. She also became a volunteer community mediator and in 2011 piloted restorative school mediation at Centennial High School. 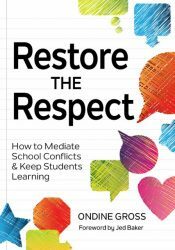 The results were positive and inspired Ondine to train others and write the book: Restore the Respect: How to Mediate School Conflicts and Keep Students Learning. Ondine was recently added to the Fulbright Specialist Roster by the U.S. State Department, serving a three-year term beginning in June of 2018. Ondine speaks publicly and on a wide range of topics relating to students and families. Ondine’s audiences appreciate her frankness, credibility, and “in the trenches” humor when promoting safe, positive and affirming school environments for students, educators, and families. Ondine is available to train on restorative school mediation worldwide.